Candidates running for local elected offices will meet for a series of discussions over the next two weeks. 1380 WPHM and the Blue Water Area Chamber of Commerce will be hosting two candidate forums at the Port Huron Municipal Office Center. The first forum will be held Tuesday October 16th from 7 to 8:30pm and will feature candidates running for local State Representative and Senate seats. 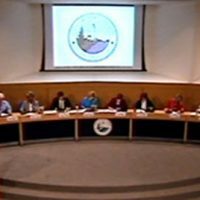 Then on Tuesday October 23rd from 6 to 8pm, candidates vying to be the next Mayor and Council members in the City of Port Huron will take to the council chamber dais. The forums will be moderated by WPHM’s Paul Miller and are open to the public. You can also listen to the event live on WPHM.net and on the WPHM mobile app.